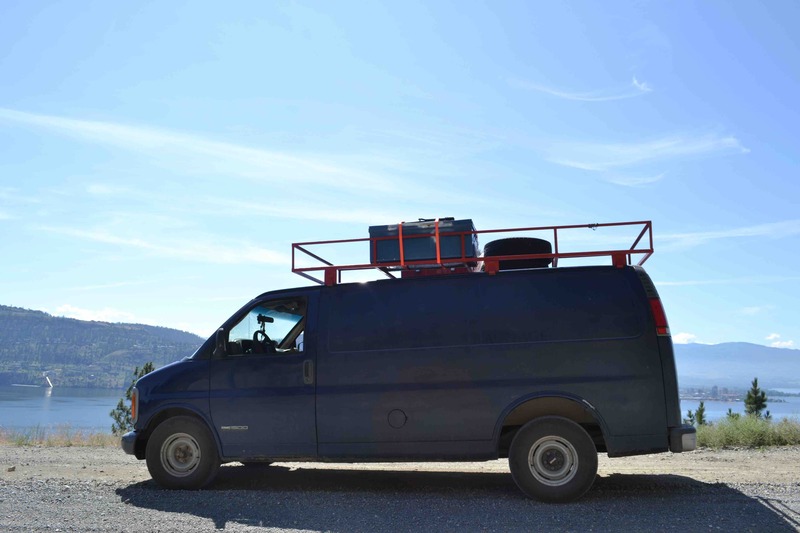 When one makes the choice to go on a trip, the choice to move in a truck is consequent. It defines that it must always be able to park it, it also involves a lot of additional costs whether it is for insurance, gasoline, transportation fees sometimes. But choosing a truck is also a choice that seemed to be more consistent for a long-term trip. Because it is not 2-3 months that we leave, but for an indefinite period. It is good then to have more business than what can be put in a backpack. By dint of reading to develop it, then after a few months of life in it, we realize that, although on board the choice to move by truck may seem more polluting, it is an alternative habitat that allows us to be more in line with our lifestyle choices than an apartment. We produce our energy, our needs go in a dry toilet, except for gasoline and once the car is acquired, our ecological footprint is less than a city dweller. The snail is an animal that goes slowly and takes its time. He is also carrying his house on his back. Image of decay is the name we give to our passenger truck. But when you want to travel with a truck, where do you start? There are several things to define, including your needs. If you have found a great spot or sleep and want to take your car, the trailer has the advantage of keeping you up. It is also an economic advantage if you already own a car, it is easier to find at a lower cost a used trailer already fully equipped. With a trailer you will be cons necessarily longer than with a van, if you plan to move around the city or in the forest it can sometimes be annoying. A disadvantage with North America is that with a trailer you will not go unnoticed; but to sleep in town, it is sometimes good to be discreet. It is not legally possible to sleep in your vehicle except in authorized places. That’s why we also opted to buy a truck. First we did not have the vehicle, but we did not want to have something big. And considering the forest passages we took, the choice turned out to be the right one for us! While we wanted a vehicle in which we could stand up, we realized that if we wanted to have a mechanic as well, our budget could not afford these two criteria. This is an important criterion if you plan to spend a lot of time on your trip, cooking on your knees is not easy. After several truck tours that were really too small, it was after a government auction that we finally ended up with a 2002 GMC Savana cargo 1500. A vehicle that is like a big car, but taller. Although we were aware that we could not stand up, we also knew that our trip would always be in search of the sun, so we should be able to always be outside, the Snail will not be completely closed only for driving and sleeping. That’s why we have adapted it so that we can be as adaptable as possible outdoors. The vehicle we acquired had only the two front seats inside, so we had a large play area to do it our way. Here are the different articles by theme on the layout and modification of our mobile home!